He would have been 11. The night before his birthday my friend Joanna came to my door carrying a small antique Indian trunk with images of butterflies pressed against the lid. Inside were keepsakes, photographs, a journal with Nevada’s name embossed in soft blue leather, a letter to Nevada from my mother. Perhaps this is my first letter to him. And it is a love letter, however struck through with grief. After a decade of learning to carry it, I have come to love this sadness created in a baby’s image when he died of what they termed “a SIDS-related incident” at ten weeks. It popped my heart like a balloon and when that happens, after the pain starts to fade and you’re no longer trying to claw it out of your chest, the world comes into you, the pain itself turns to something strangely beautiful, because it’s sacred. My firstborn son’s life was sacred, and his death, when he died in my arms after we took him off the machines, brought me to the edge of the god/dess realm, a god/dess I didn’t even think I believed in. But he was blue-eyed and black-haired and a big, healthy boy. We named him Nevada because he was conceived at the Burning Man art and music festival held every year in Black Rock, Nevada, there amid the art cars and glowing lights and orange sand with that stark acrid scent that gets into everything. My husband (now ex-husband) and I went to Burning Man again after Nevada’s death, and on our last day there his friend Adeo forced us both onto the desolate plain of the playa, trudging through the dust storm out past the camps and the sculptures to the Temple intricately fashioned from small pieces of wood. 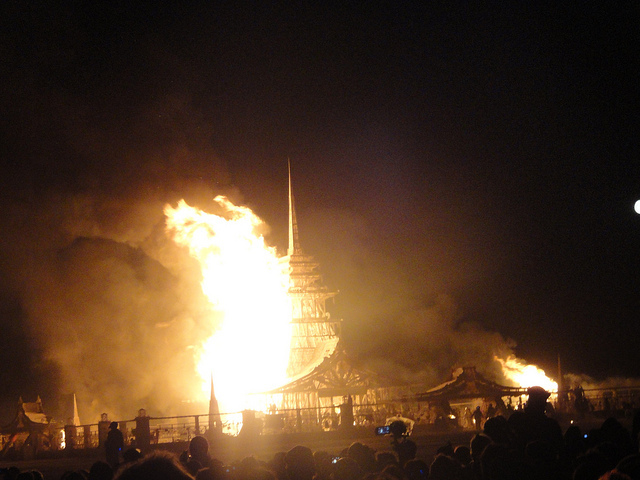 Every year there is a Temple, and every year it’s the last thing to burn. People roam the makeshift rooms and write on the walls: fragments and lyrics and self-declarations and messages to loved ones. That year I wrote NEVADA ALEXANDER MUSK: he was a good baby on the wall of the Temple in thick black ink and now every time I go to Burning Man I do this, I make the small precious pilgrimage across the sunhammered playa – walking the miles on foot, it seems like it should be done on foot – and I enter the Temple and I find some place to write his name, to feel the tender power of it. On the last night of the Festival they set the Temple blazing, the flames like dragon’s breath tearing through the dark, scattering sparks and plumes of smoke, and I feel lighter, and awed, as if I’ve brushed the veil and glimpsed the face of my baby behind it. I thanked Adeo for making me go out there the first time, when all I wanted to do was to curl up in the bed in the RV, keep sleeping. It’s better to be awake. I don’t know if I ever told this to Joanna. I know I told her about the butterflies, which is why she had an artist emboss them along the lid of the box, Nevada’s box, to hold his memory in a place I won’t have to travel into the desert to visit. Around the world, butterflies are seen as a symbol of the soul. I’ve come to love this symbol, so easy to trivialize and dismiss in a culture that rolls its eyes at the femininity of it. Butterflies are fierce. They migrate for thousands of miles through extreme weather patterns. Their beauty is a ferocious beauty, and it comes at the price of a life-and-death struggle through a tiny opening in the chrysalis. Some of them don’t make it; they suffocate inside the darkness of their own transformation. But the ones who manage to press through that narrow passageway, squeezing the fluid from their bodies so they can take their final form, find light, warmth and life. So this is what I love, and how I love my missing child. This is what I found across the years of grief and tears: I found a soul on wings: my baby’s soul. My own. Oh, my. Typing through tears. Such a beautiful tribute to your boy. Oh Justine. Mothers know this love. This ache. We know. I can’t imagine such a loss. Thank you for this deeply moving tribute to your dear boy. A soul on wings fluttering in our hearts now too. Fiercely resonating. Another gift. Just like all you share so bravely. Sometimes thank you doesn’t feel like enough. 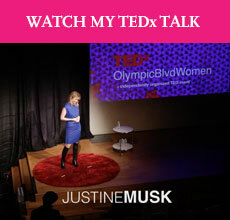 Justine, your remembrance of Nevada moved me. As a mom, I can’t imagine how you must feel, but we feel for you and keep you in our thoughts and prayers. We hope for all the best as possible under the circumstances, and we hope your other children are happy and well. Thank you for sharing this intimate essay. Such bravery in the telling… and so solidly real. Weight-bearing, lump in my throat, beautiful real. Thank you for mining your own heart and sharing it here. This is beautiful. Thank you for sharing this part of you. Butterflies are fierce. They migrate for thousands of miles through extreme weather patterns. Their beauty is a ferocious beauty, and it comes at the price of a life-and-death struggle through a tiny opening in the chrysalis. Some of them don’t make it; they suffocate inside the darkness of their own transformation. This was my favorite portion. Amazing read.